Rose gold has made a huge comeback in the past couple of years. 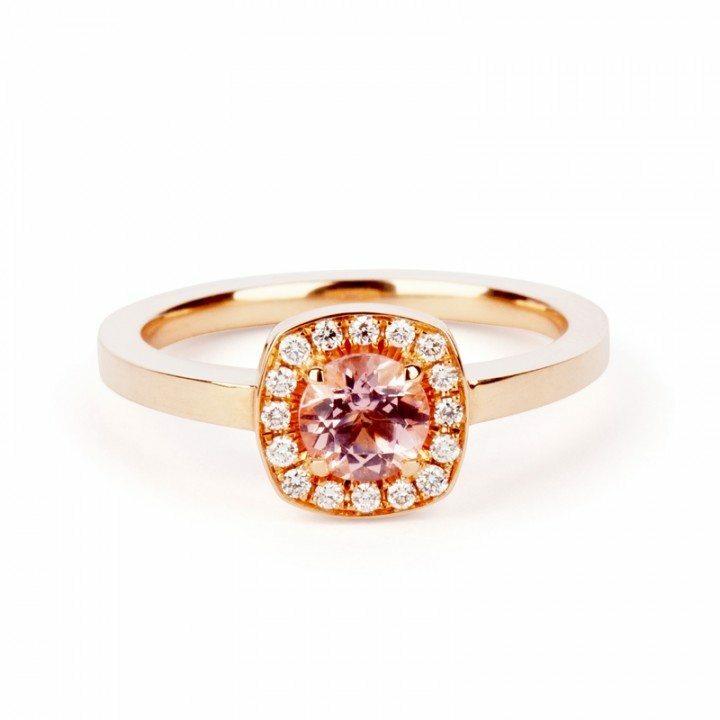 A warm pinkish metal, it complements all skin tones beautifully and as such is becoming a very popular choice for engagement rings. 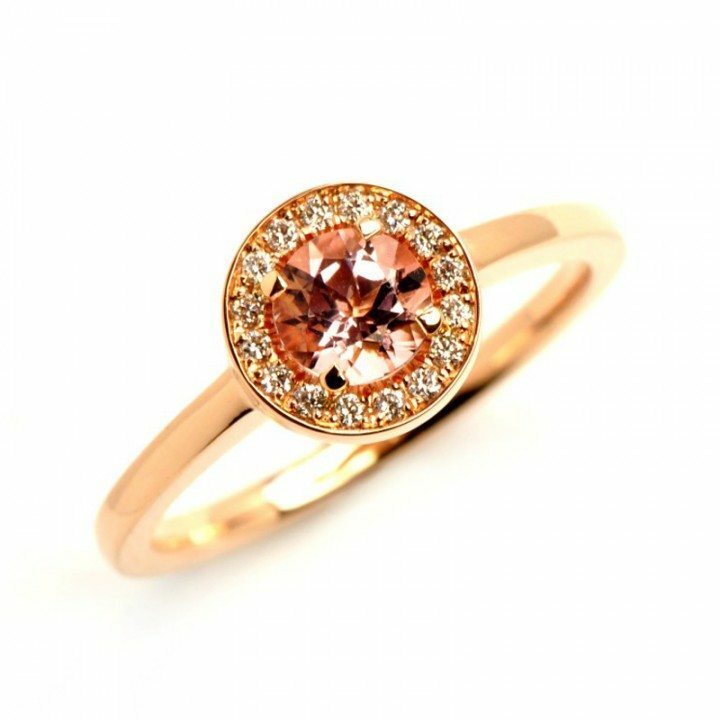 Below is some information about rose gold and points to consider when buying a rose gold engagement ring plus a few pics of my favourite rose gold rings. 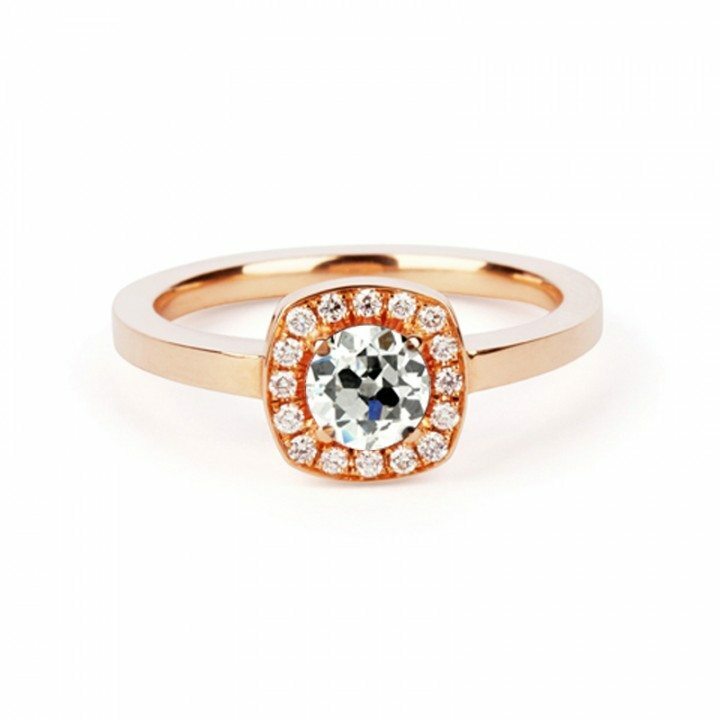 While rose gold is a beautiful choice for a white diamond engagement ring it is even more stunning when paired with the right coloured gemstone. Champagnes, browns and pinks are enhanced by this beautiful metal. 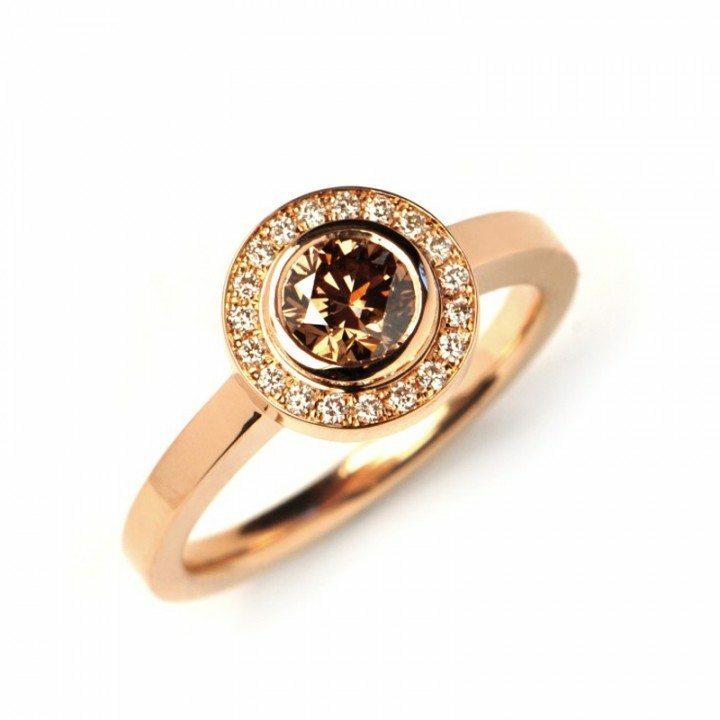 I also love the contrast between the metal and the stone when a white diamond is set in rose gold. Rather than an overall brilliant effect, you can see the definition of the setting and the diamond really stands out against the coloured metal. 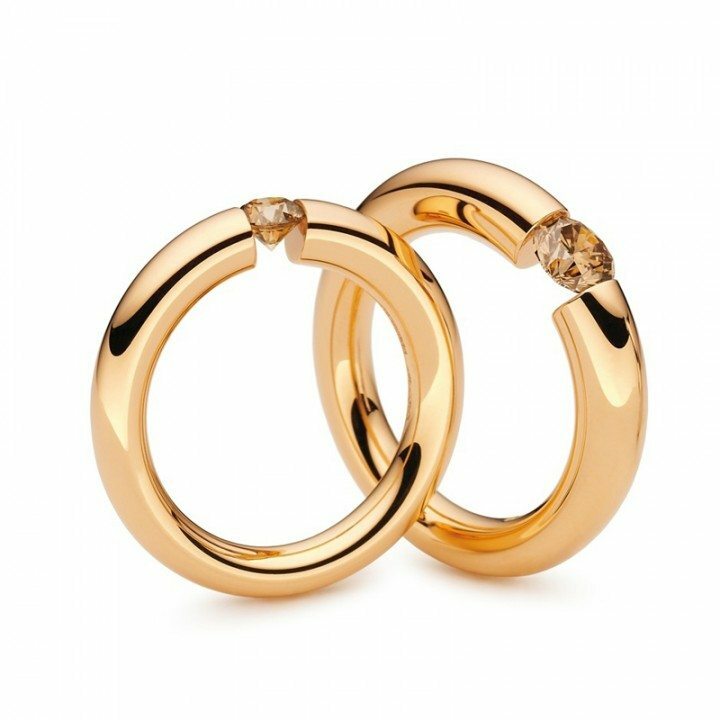 A lot of people are put off yellow gold because most of their jewellery is silver. One of the wonderful things about rose gold is how beautifully it sits next to white metals allowing you to mix your jewellery. 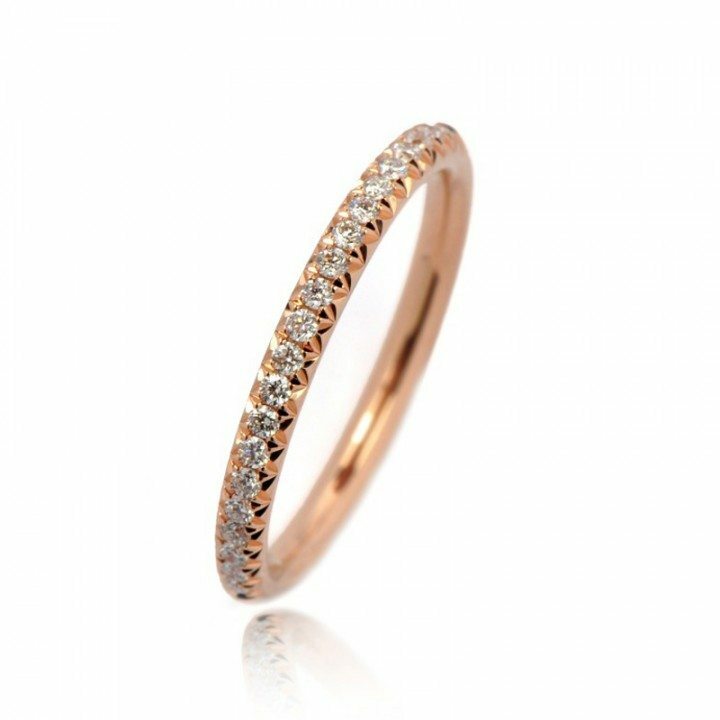 Two tone rings can also be a lovely choice – if you prefer a diamond set in white but love the colour of rose gold, a rose gold band with a white gold setting is the perfect option. 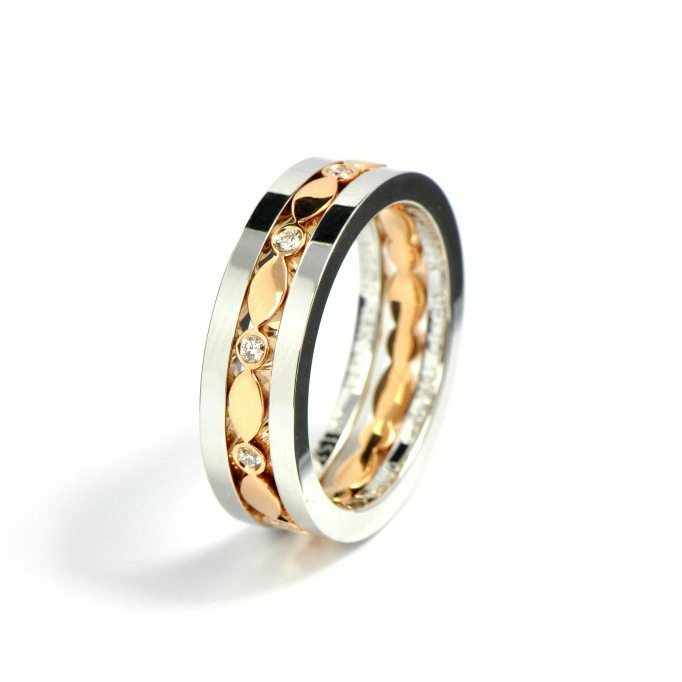 Alternatively, if choosing a coloured stone, a white gold band with a rose gold setting can be stunning. 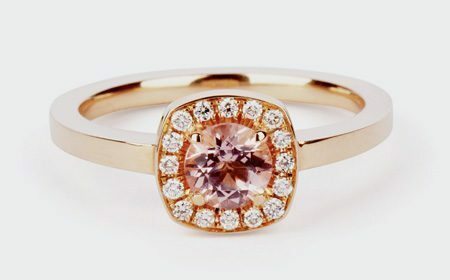 There is no such thing as naturally occurring rose gold. 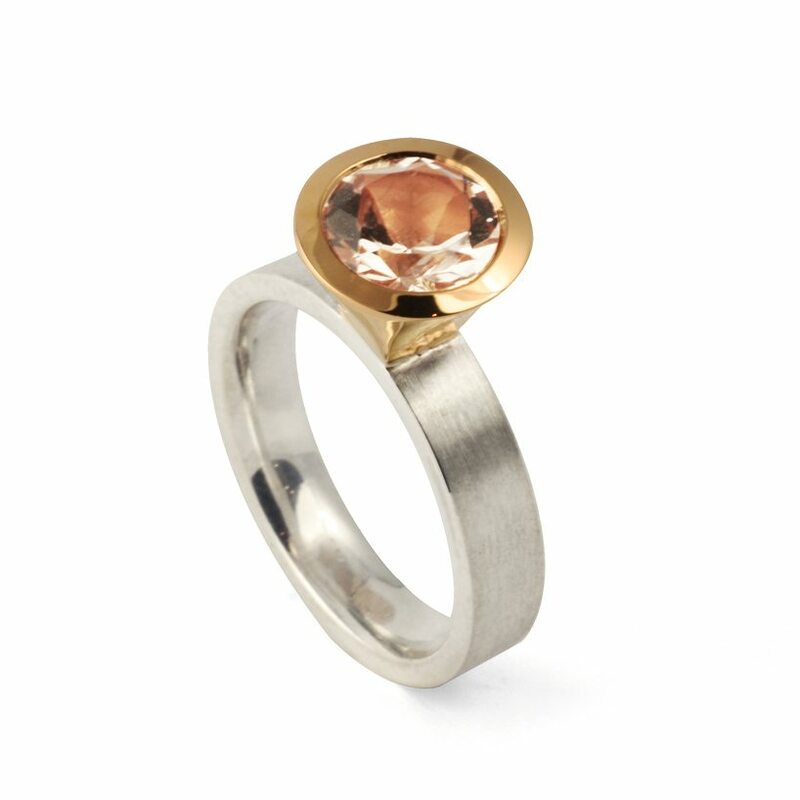 Copper is added to gold to give it a pink colour – for this reason the higher the gold content the less pink the metal. 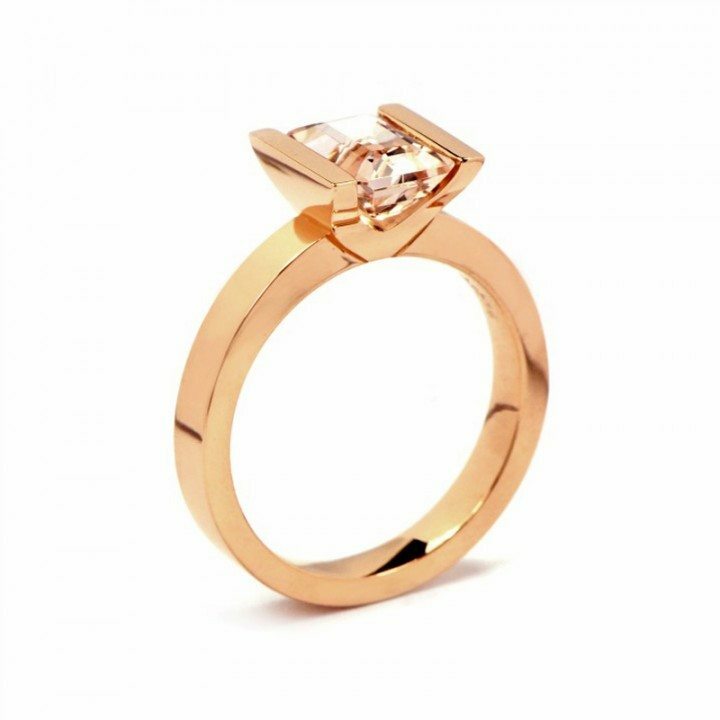 9ct rose gold is a very deep rose colour as it is 9 parts gold (naturally yellow) and 15 parts alloy whereas 18ct is 18 parts gold and 6 parts alloy. 24ct rose gold is a physical impossibility. Rose gold is, in my opinion, equally beautiful in a polished or a matte finish. 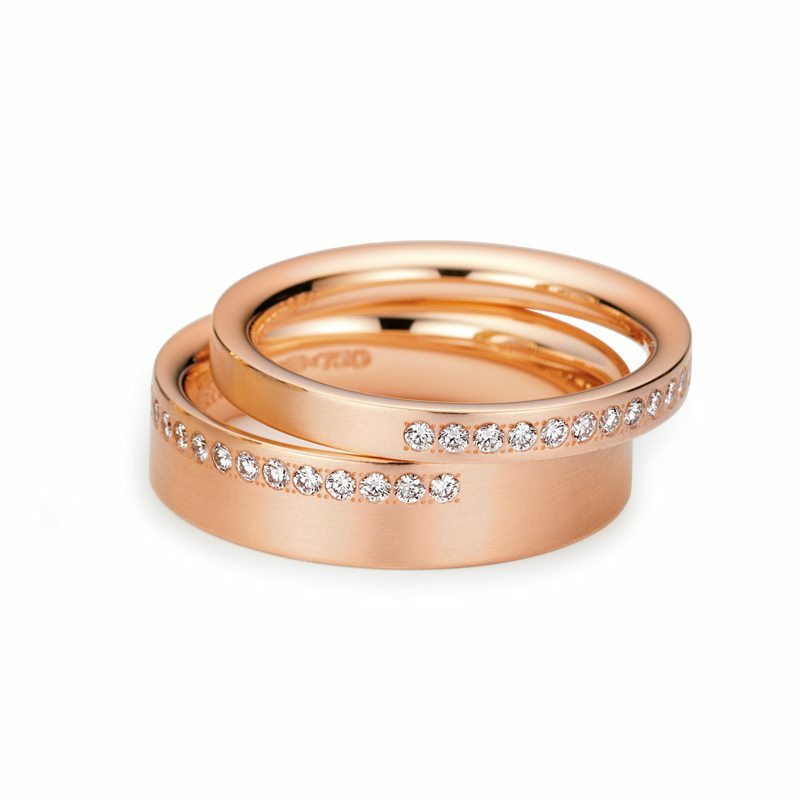 Before choosing your engagement ring try some rose gold rings in different finishes to check which style you like most. 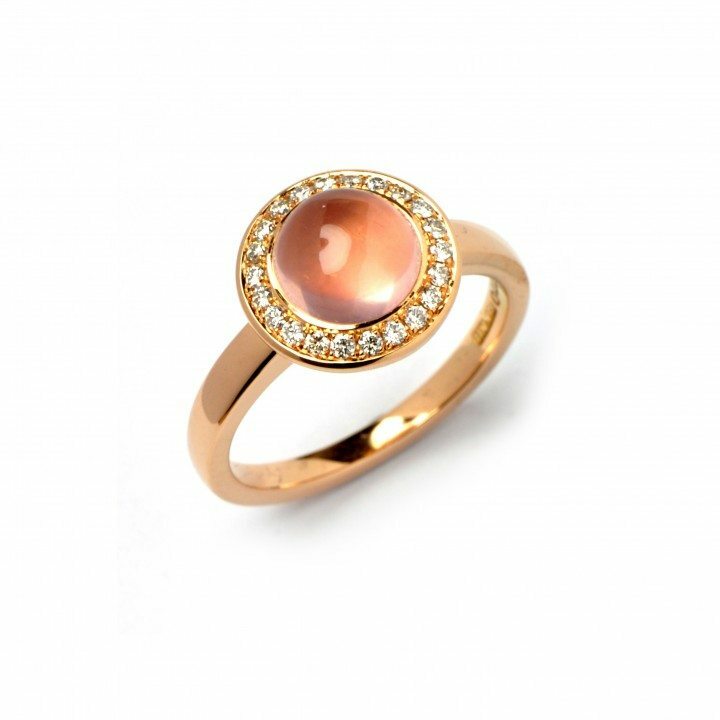 Rose gold was most popular during the Victorian era (1830 to 1901) as pink was considered the colour of romance. White metals took over in the early 1900s but suffered a setback during World War II as the U.S. government declared platinum a “wartime metal” and banned its use in jewellery. 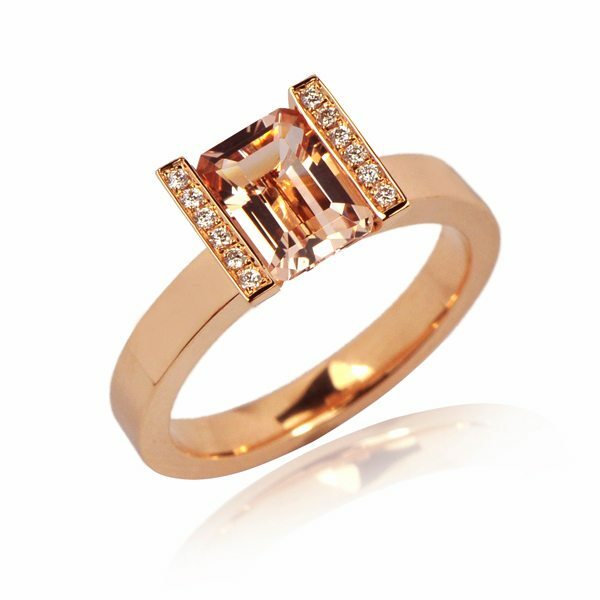 Rose gold experienced a resurgence during this time but then became less popular from 1950 until the last couple of years where it has become an extremely popular choice. 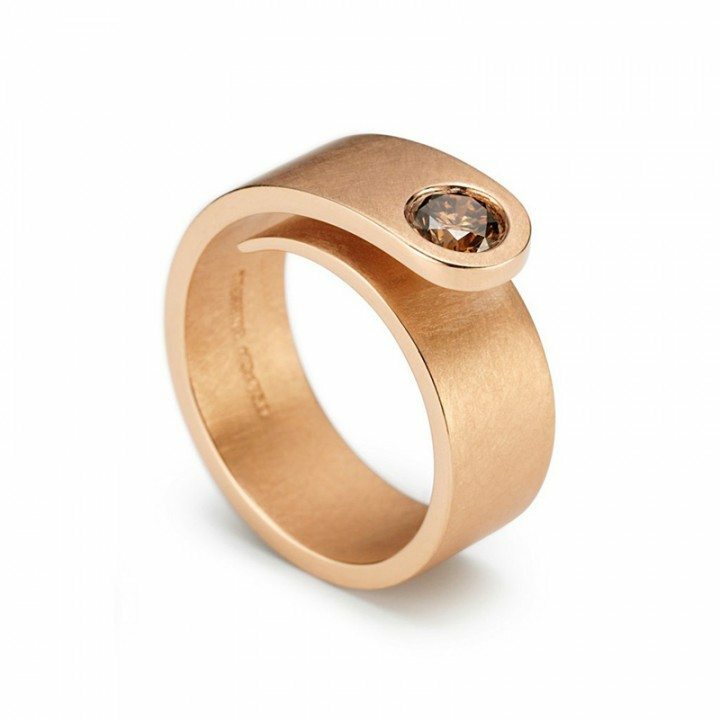 18ct rose gold is a durable metal and will not tarnish. Like all metals, it will require polishing over time but the colour will remain the same unlike white gold that is normally plated in rhodium.